It’s absolutely incredible to consider that the ubiquitous smartphone is, in reality, a technology that’s only about twenty years old. In those two decades, the pocket-sized powerhouses have completely transformed the way we do nearly everything. Apps have made hundreds of everyday life and business processes much more streamlined and efficient. Harnessing the computing power of smartphones has revolutionized many industries, including construction. If you’re a contractor, you’re going to want to pull out your phone and download these amazing products. They’ll save you time and money by streamlining every part of your business from sales to invoicing, and increase your productivity throughout the entire job cycle. Salesforce is the CRM solution that you didn’t know you needed. Customer relations is an easy area of your business to neglect, but it’s utterly critical to manage well. This dynamic tool combines a comprehensive database with a wide variety of functions that can help you more effectively manage your entire customer relations funnel. From sales appointments to marketing touchpoints and analytics, Salesforce offers simple solutions to improve the quality of your customer relationships. HOVER is an innovative app that uses a smartphone’s camera to transform photos of any property into an accurate, interactive model. The app provides extremely accurate and detailed measurements that simplify your estimators’ job tremendously — and its 3D models are an amazing sales tool. Homeowners can see all angles of the proposed finished product; virtually “try on” different finish and design options for their project, and adjust the 3D model to determine the exact scope that suits their needs best. Save time, keep your estimators off of rooftops, and help your clients make their choices (and changes!) before you start working on their project! HOVER is a must-have. Beacon Pro+ is a supply house app that actually integrates with Beacon 3D+ powered by HOVER and simplifies your material ordering and management process. Never run short of materials again by utilizing Beacon Pro+’s integration with the Beacon 3D+ powered by HOVER platform. The integration uses HOVER’s accurate measurements to auto-calculate accurate material take offs and provides you with the pricing information that you need to price your jobs profitably and create realistic scheduling. This handy tool lets you access, compare, and order over 70,000 products anywhere, anytime. Now you can request and approve quotes, review your account status, create custom orders, and access technical documents for fast and easy submittals on the go. It’s like having a responsive, friendly account representative in your pocket, 24/7. DocuSign is a convenience you will wonder how you functioned without. Contracting requires a lot of paperwork, there’s no way around it. (They don’t call it “contracting” for nothing!) Tracking all the contracts, addendums, change orders, material delivery slips, estimates, submittals, RFI’s, and other critical, legally binding paperwork that is generated by your business can be a full-time job in itself. DocuSign is your paperwork solution. The DocuSign electronic signature app provides your customers, vendors, and staff with a simple way to electronically sign and return documents from almost anywhere in the world, using practically any device. No more running around to get signatures. Never scramble to find that contract copy or executed change order again, with DocuSign, it’s all stored electronically and available at the touch of a button. Square Invoices is the on-the-go invoicing system that will save you time and hassle. Integrated with the Square smartphone payment processing system, the Square invoicing platform is fast, simple, and streamlined. Invoice clients in seconds, while you’re on-site. Minimize collection frustrations by accepting payment on the spot. Square helps you keep your account receivable current, helping ease cashflow concerns. Its user-friendly platform allows you to customize forms for a unified brand message and a professional presentation that creates a good impression no matter how big or small your company is. 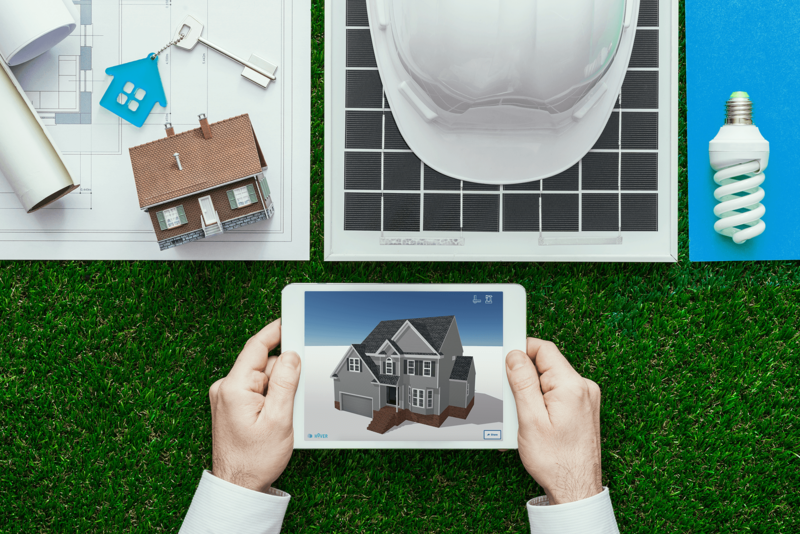 Whether you’re a contractor or other construction professional, these five apps will streamline, simplify and organize your business. Check them out today!